This major milestone transforms with the use of new production technologies contributing to improving flexibility and reducing time-to-market. 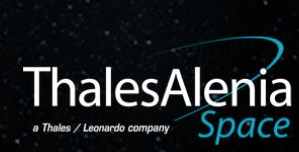 Thales Alenia Space achieves a major milestone in industrial cobotics Rome and takes another step in its transformation toward Industry 4.0 through the development and use of new production technologies contributing to improve flexibility and reduce time-to-market. 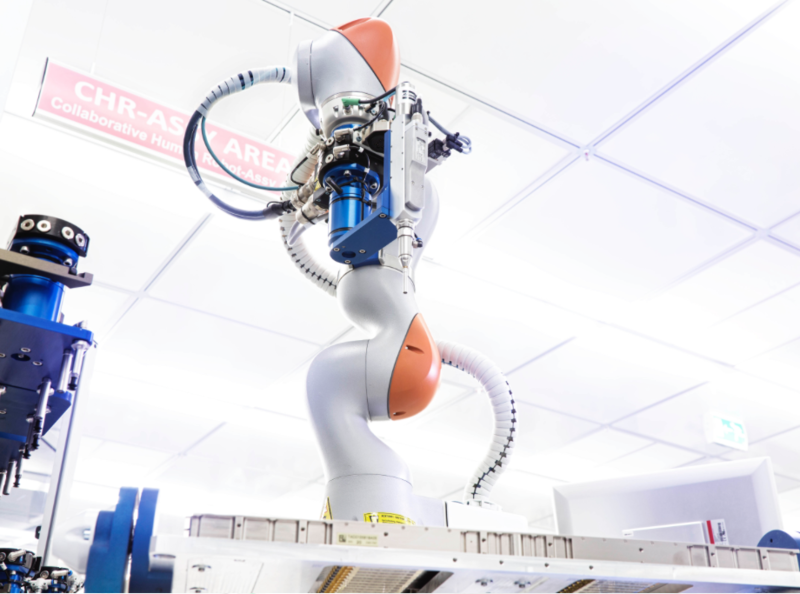 In its L’Aquila plant located in Italy, the company reveals the new multi-purpose collaborative robot, or cobot, CRATOS (Collaborative Robot Addressed To Operative Solutions), which is already implementing its first mission to integrate electronic components into the first COSMO-SkyMed second generation flight model. For Thales Alenia Space, CRATOS (derived from Kratos, the god of power in Greek mythology) is the first collaborative robot used to integrate electronic equipment, it can operate alongside employees, in the same area without any physical barriers. CRATOS is a highly versatile cobot capable of assembling and bonding components and parts, as well as checking these operations. Donato Amoroso, Deputy CEO of Thales Alenia Space said that the Cratos cobot sets a new milestone in the global Thales Alenia Space digital transformation strategy by facilitating production and accelerating time-to-market while complementing employees’ jobs in addition to automated machines and augmented reality. 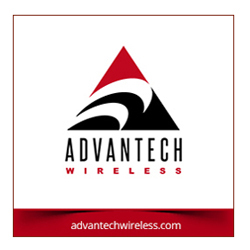 He is proud of their ability to match the fast evolving market demand by using innovative technologies while capitalizing on the skills of their teams. With its flexible architecture, all operations are carried out in sequence, to considerably reduce assembly time. It also enables full control over the integration process, with a measurable improvement in quality. 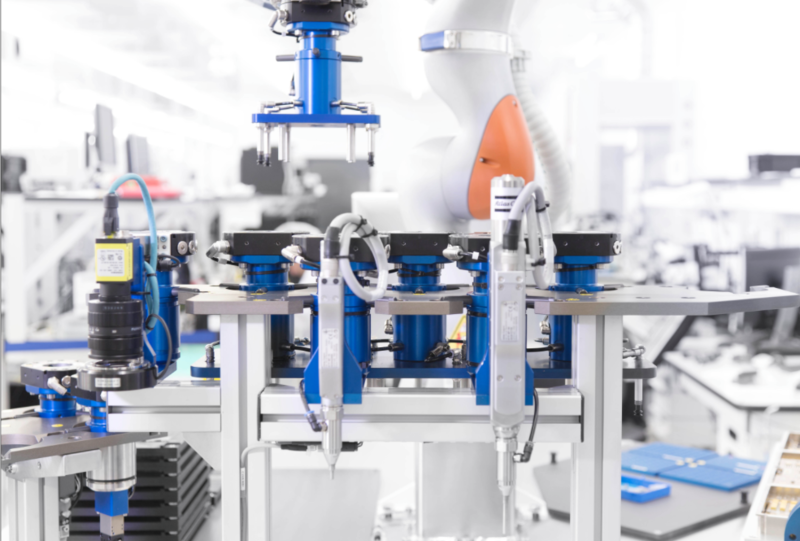 The CRATOS robot can be programmed via a conventional wire link, receiving instructions from CAD system files, or by a self-learning process. It was designed to continuously extend its scope of applications, including a 3D reconstruction feature, based on a panoramic photographic system and infrared barriers that will increase speed during automated integration while ensuring safety. In the framework of its Industry 4.0 roadmap, Thales Alenia Space has also been operating SAPHIR, in its facility in Cannes, France. SAPHIR, is a collaborative robot designed to automatically prepare and install inserts in the structural panels on telecommunications satellites. It significantly reduces production cycles and costs on these satellites, each of which has some 3,500 inserts. Furthermore, Thales Alenia Space recently announced the construction of a new state-of-the-art plant in Hasselt, Belgium to produce photovoltaic assemblies (PVA). The facility will feature new technologies, including the robotic assembly of panels, digitization of the production process, with digital management of data and traceability, including online tests and checks, as well as the use of augmented reality.